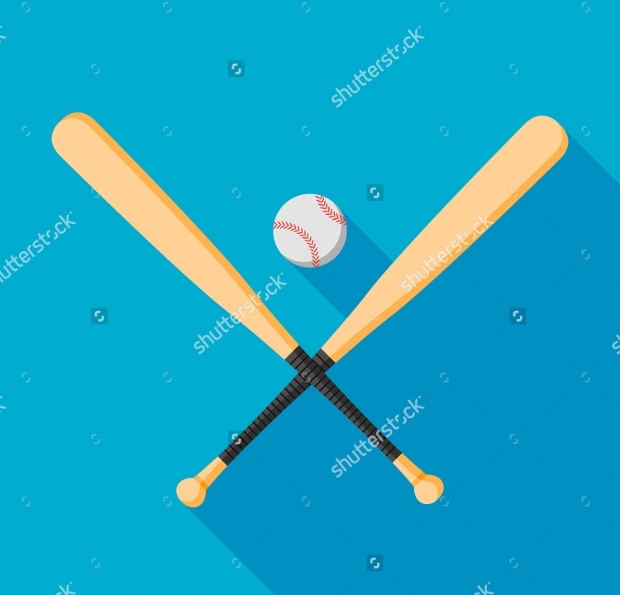 Available as an EPS 10 illustration, this particular vector brings in the attractive look of a new and fresh baseball bat. 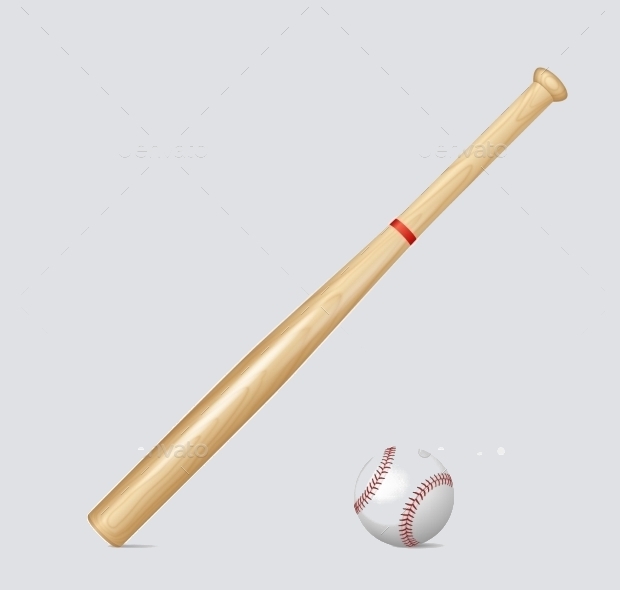 Featuring the timber grains, this baseball bat and ball combination can be used in a lot many graphic applications – ranging from design for sporting events to club logos. 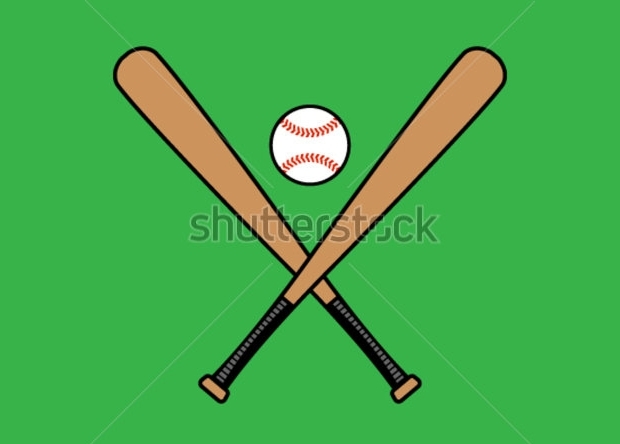 A simplistic illustration of crossed baseball bats with a ball in between, this vector can be fairly used in organizational projects and poster design. 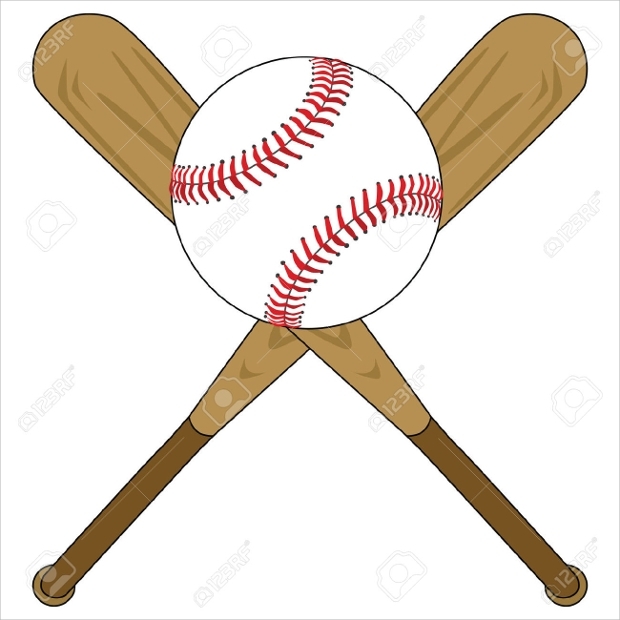 If you have been planning a baseball event for your office or the neighboring community, this cheap vector can meet your purpose of marketing and advertising. 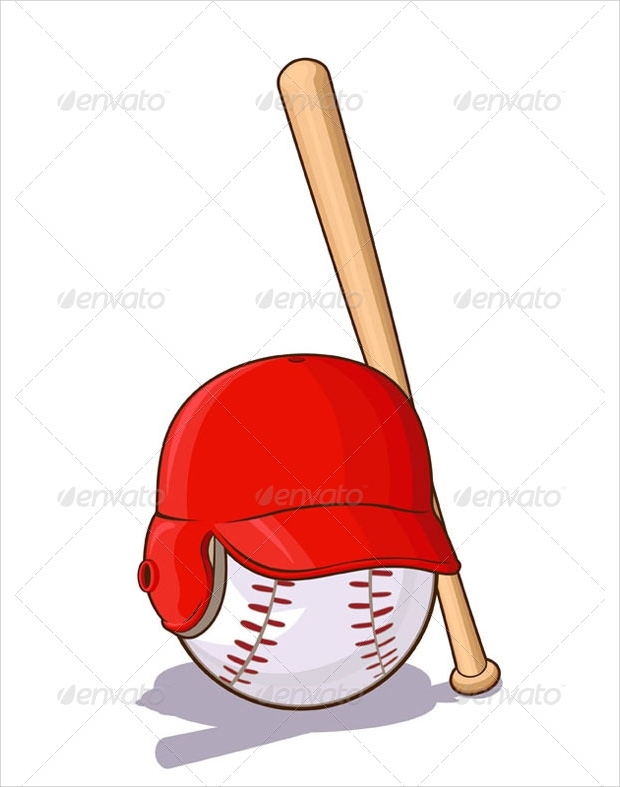 Baseball in any form is quite well received and this comes with a kindred look! 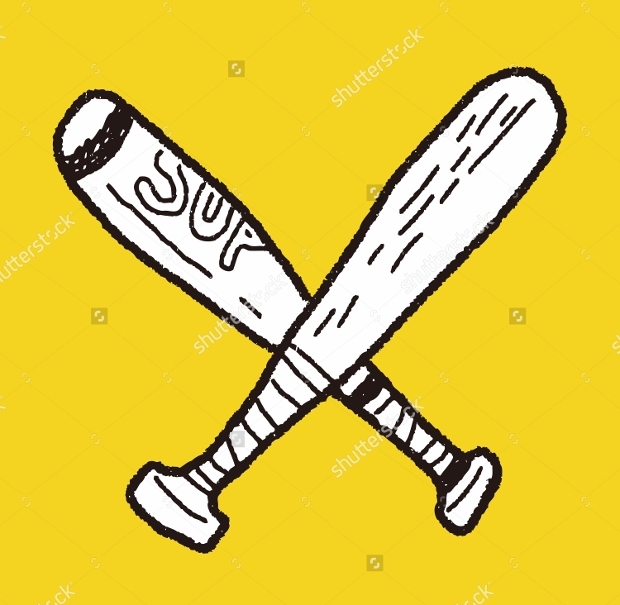 Looking for baseball logo cartoons? 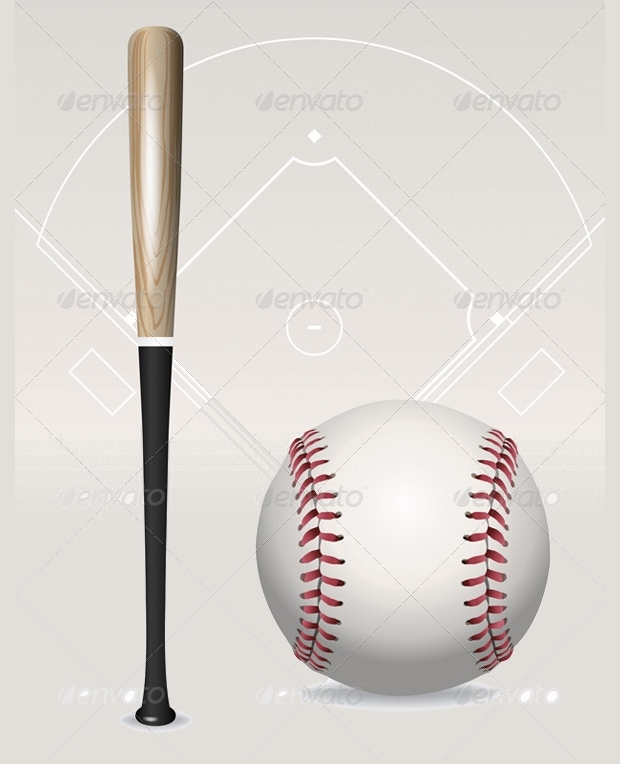 This illustration of a bat, ball and helmet encompasses all tools of the game and should suit all kinds of designing jobs. Whether you are creating victory animations or a cool scoreboard, add this logo to make it much more unique! 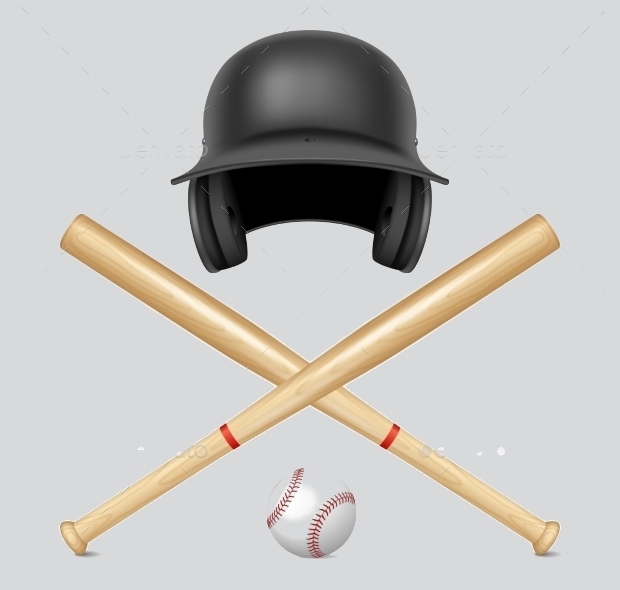 Baseball is more than just a game but a spirit! If your logo requires provoking this emotion, this would be a great look to work with. A high-quality rough look, this design can easily get onto your café billboard or your door label! 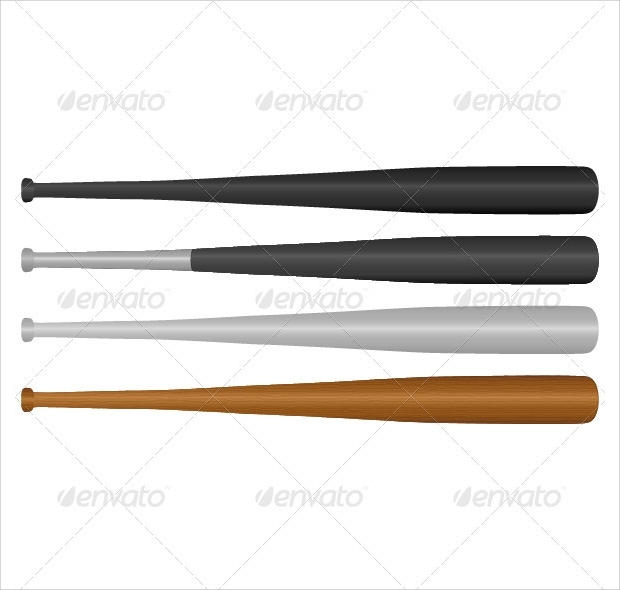 This baseball bat set is available in four different colors and comes in a white background. 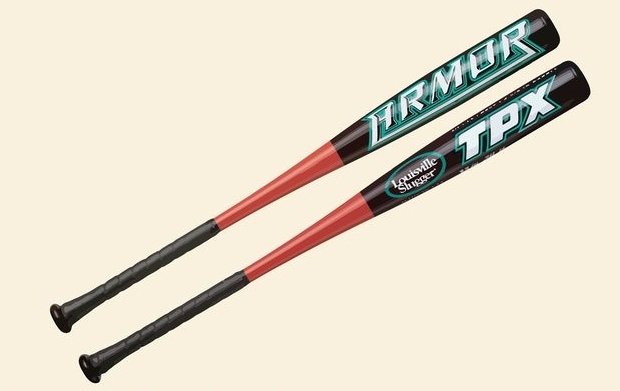 Since these are high-quality vectors, you can also choose to isolate each bat to suit your purposes. 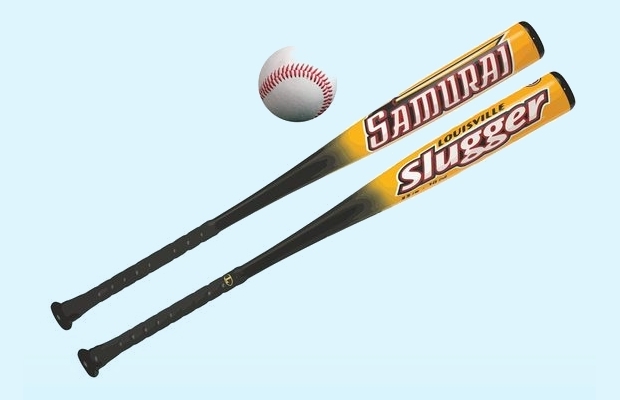 100% scalable and completely customizable, these baseball bats come with a serious sporty appeal. 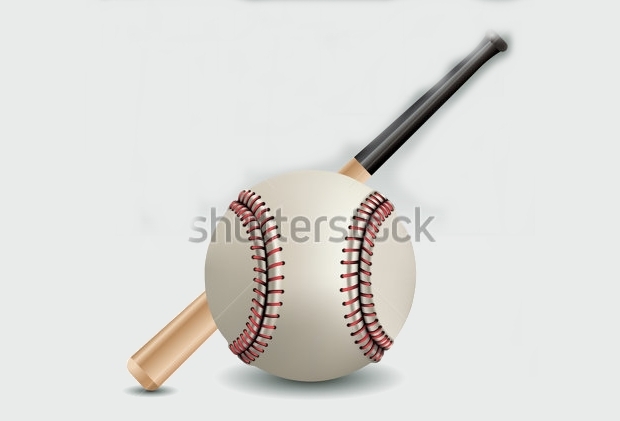 Created from basic Photoshop shapes, this baseball bat and ball set looks incredible and even have a 3D effect to it. 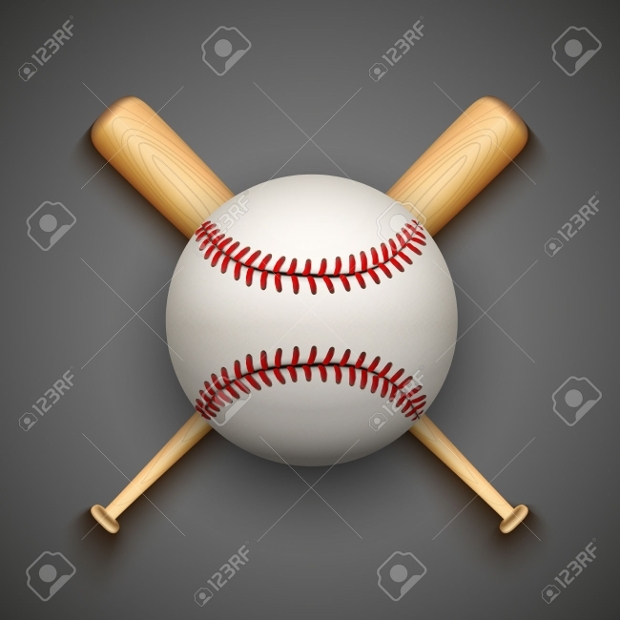 This would be the perfect tool to easily create visuals for baseball matches, gears, leagues, tournaments, championships, meets and clubs. 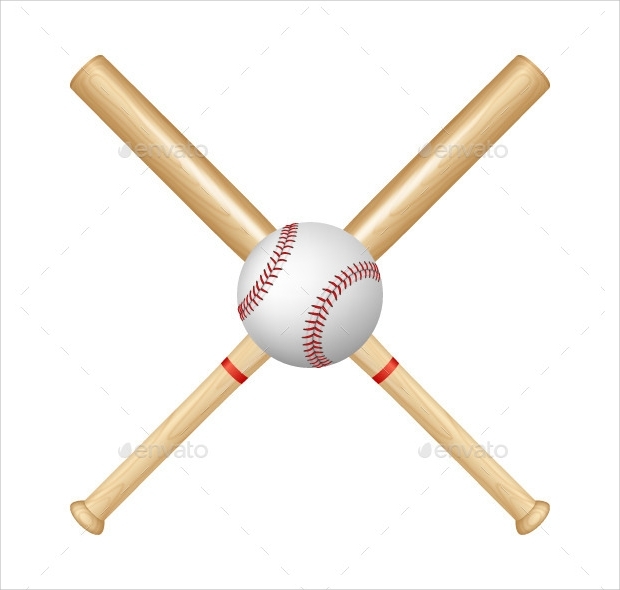 The illustration comes in the form of two baseball bats crossed in the middle and a ball in the intersection. 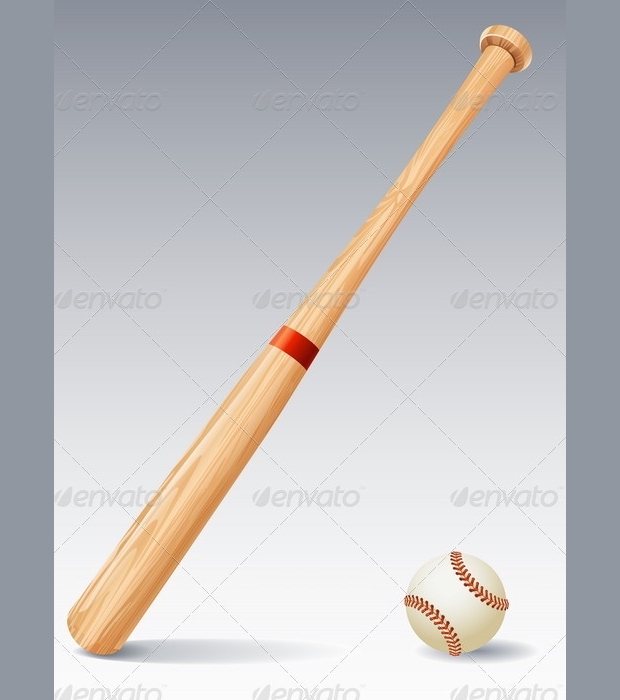 The look of the illustration is close to realistic wherein you get the perfect stitches, bat textures and even the customary red band defining the handle. 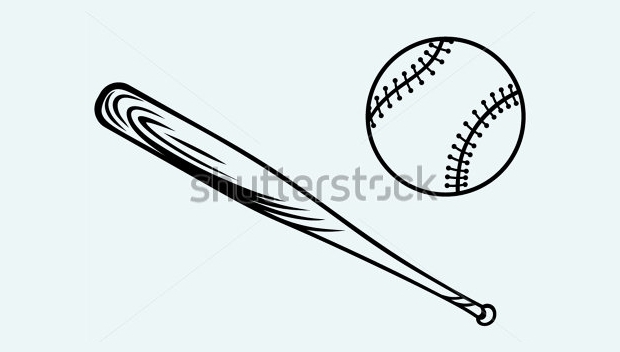 Another simple but realistic illustration of a baseball bat and ball combo, this would be perfect for any kind of logo or poster design involving the game. The vector comes with a fresh look and allows you to be unique in your visuals. 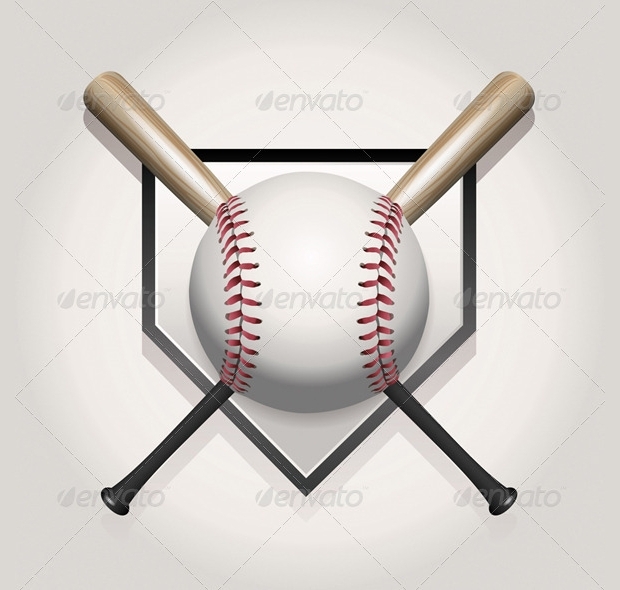 Now, this one comes with the most realistic texture for a 2D baseball illustration. 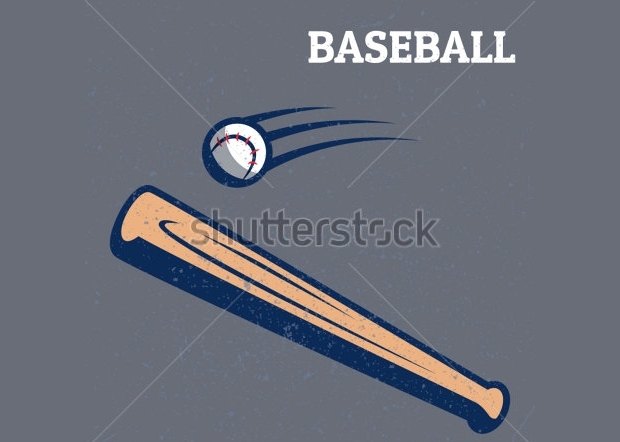 The bat in the illustration is realistically grained and used perfect shadows to create a 3D effect. Similarly, the ball too demonstrated fine stitches. 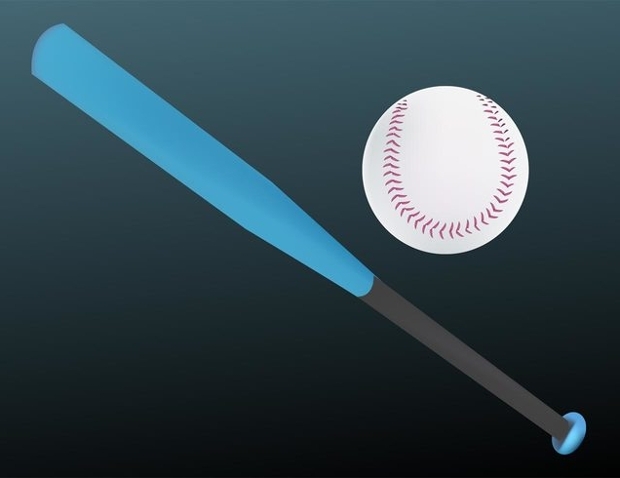 In this logo, you get a baseball bat and vector set where the ball is placed in the foreground and seemingly bigger than the bat. If you are trying to visually represent a shot taken in 2D, this would be a perfect tool to the end. Found what you had come looking for? Baseball has always been a highly stylish sport and promoted not only throughout America but across the globe. We wish you a great game!